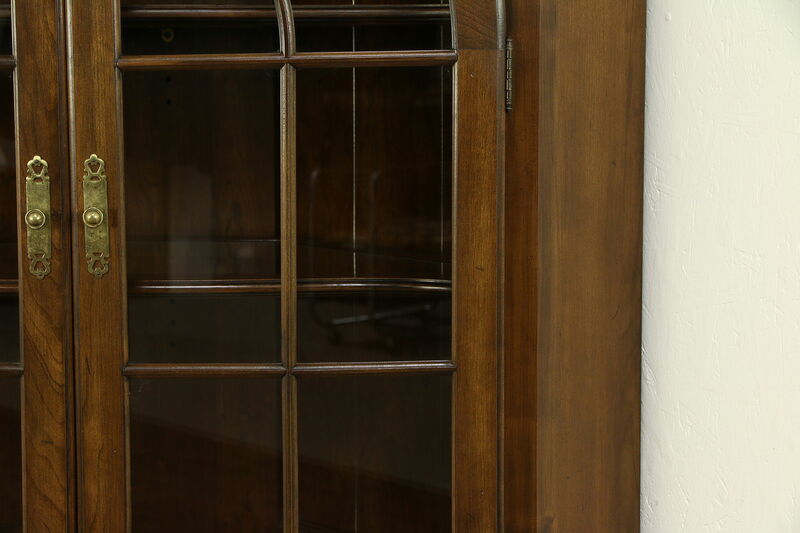 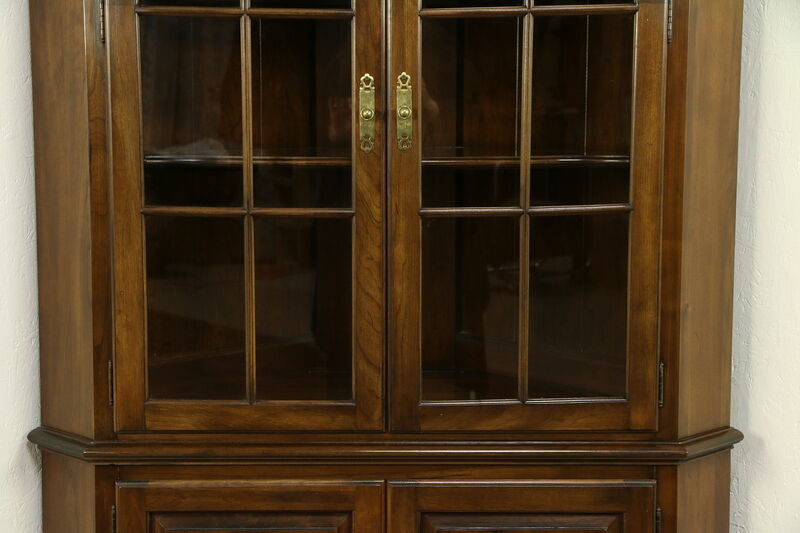 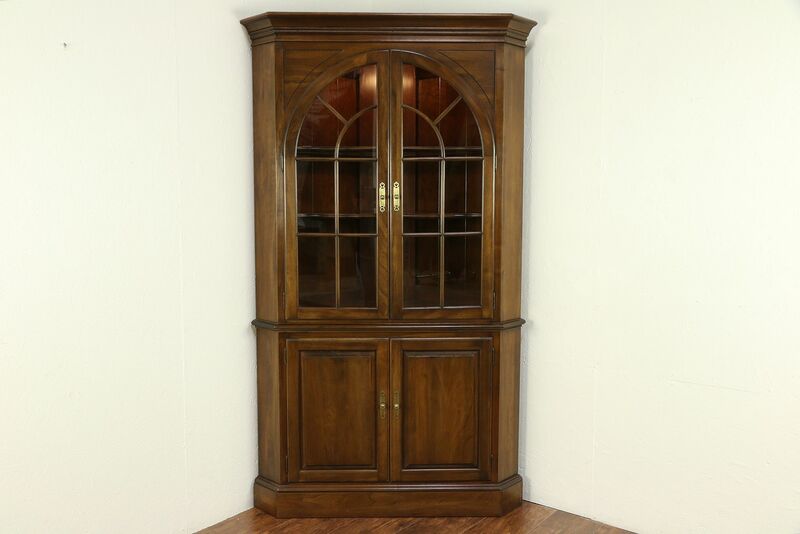 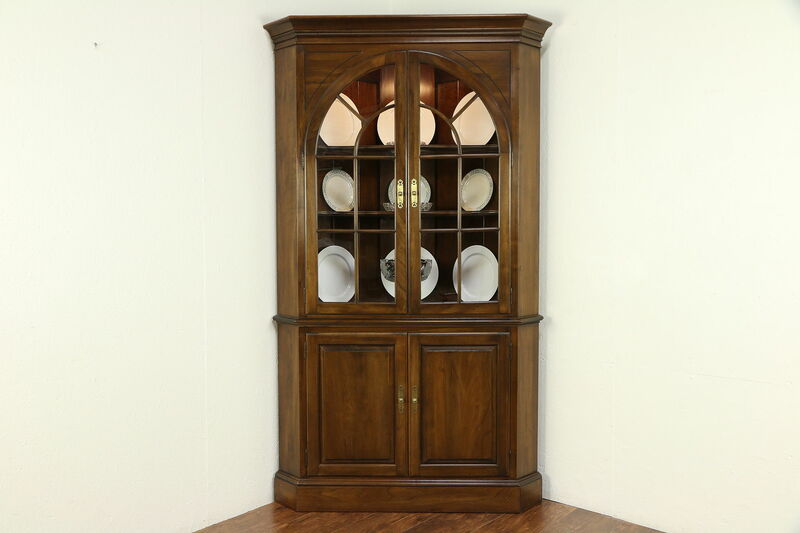 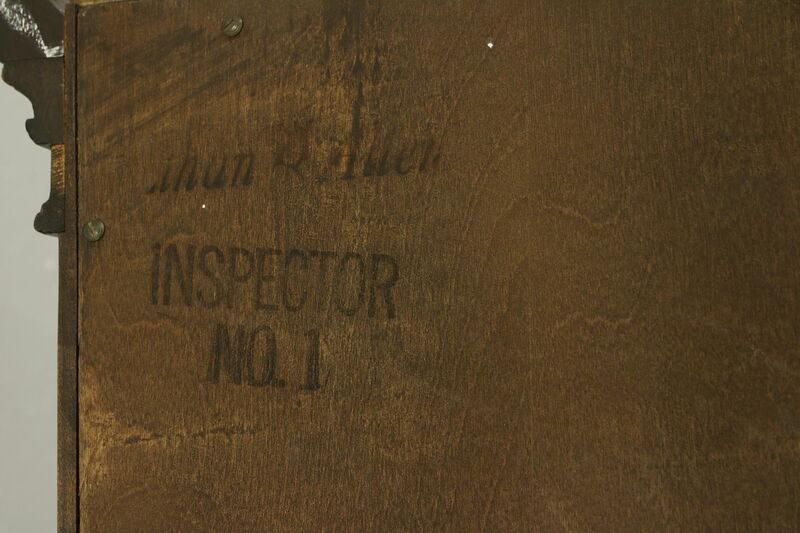 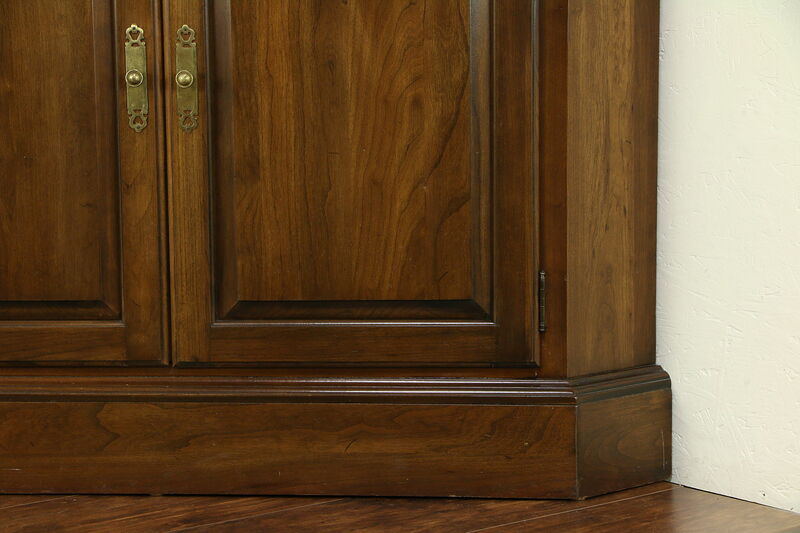 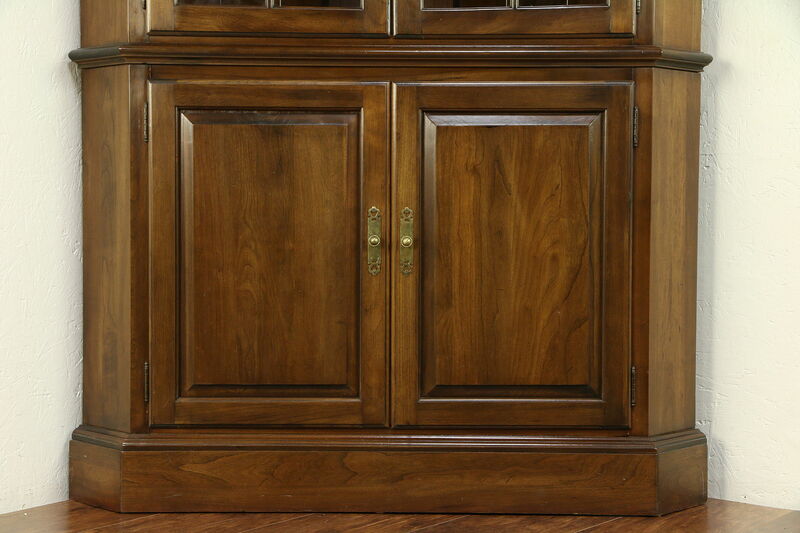 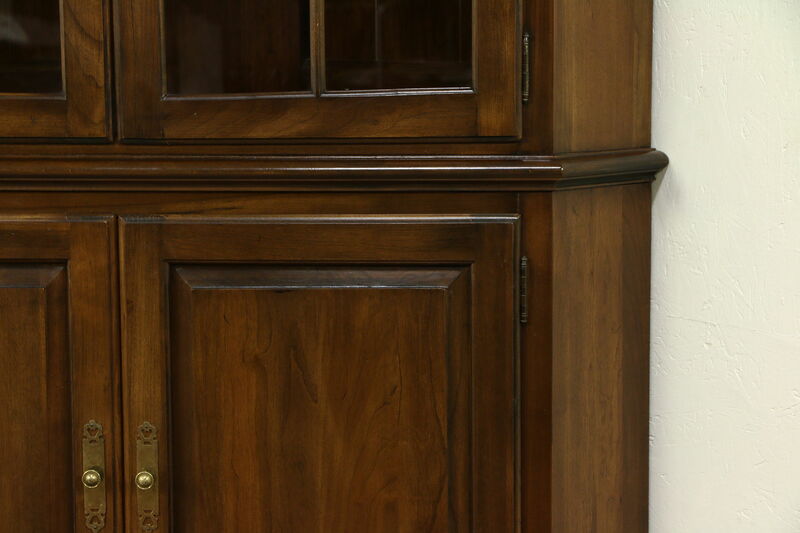 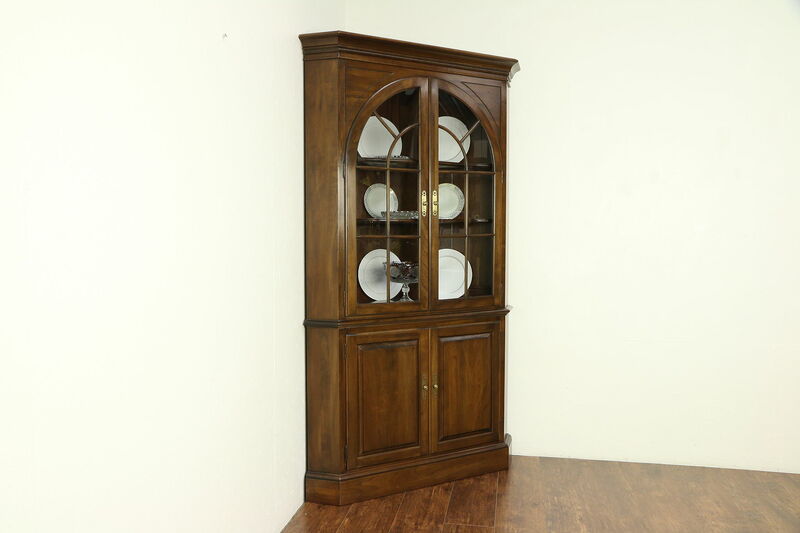 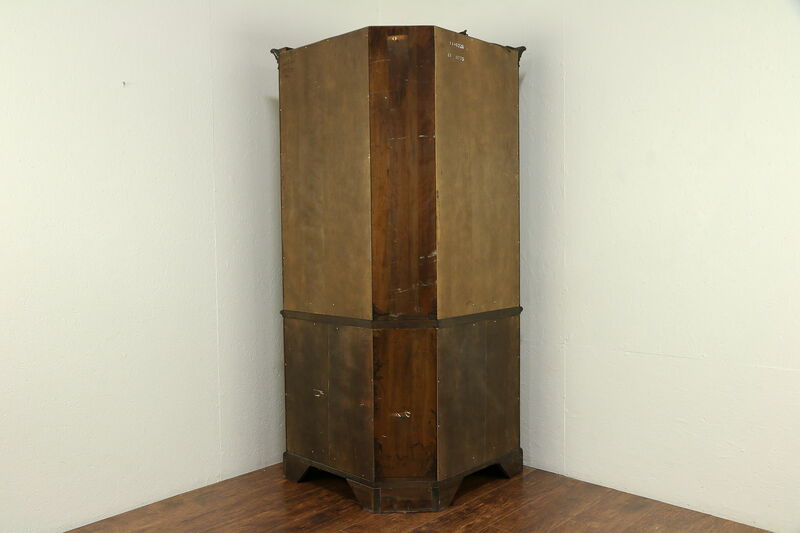 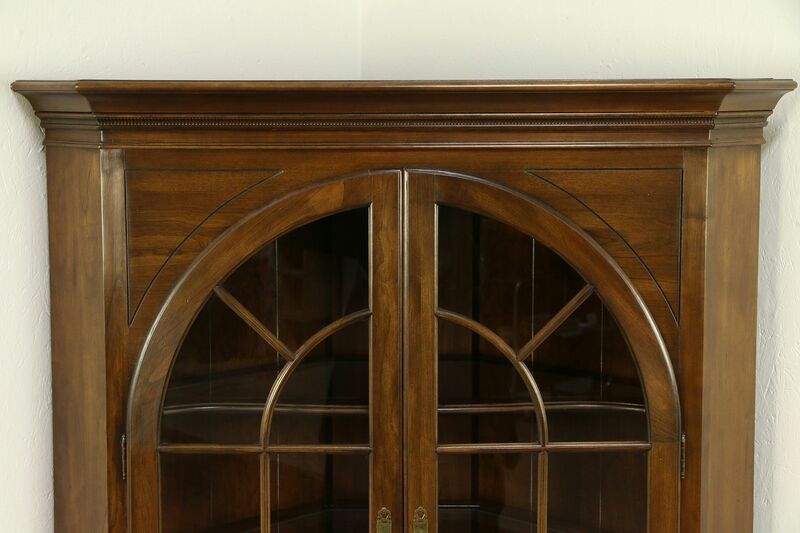 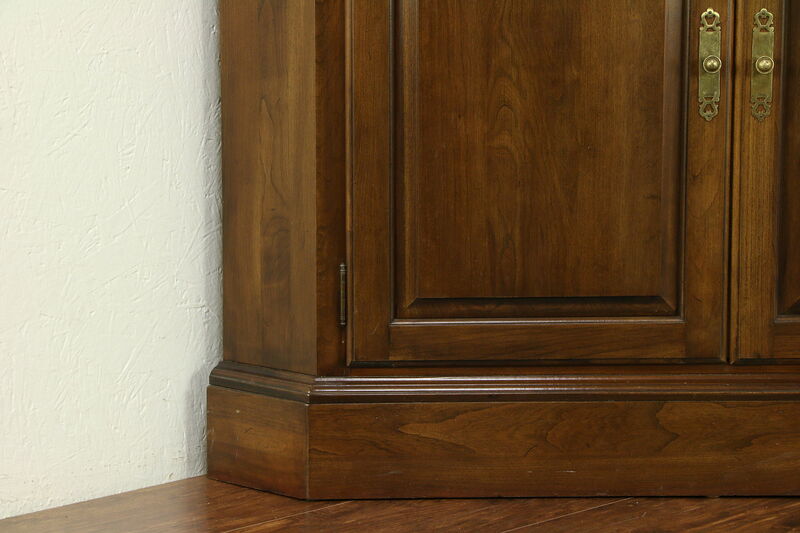 A solid cherry lighted corner cupboard from about 20 years ago is signed "Ethan Allen." 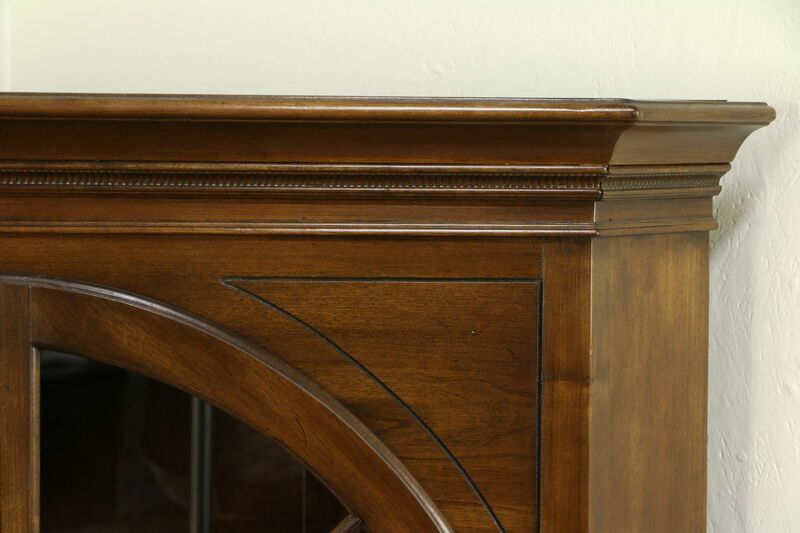 Arched doors above and raised panel doors below are authentic. 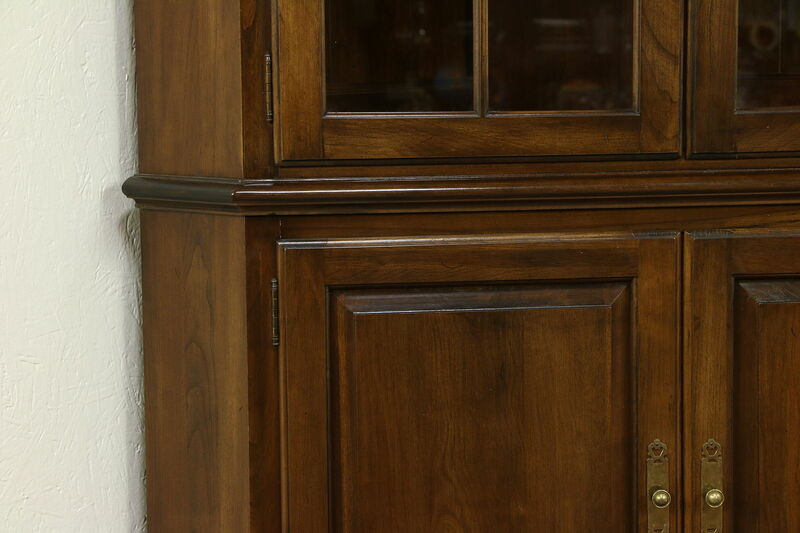 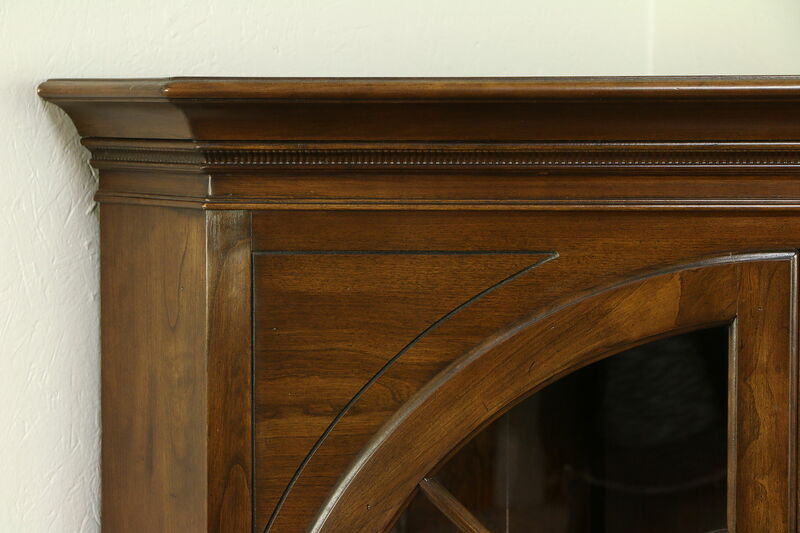 The original finish is in very fine condition with minor touchups on this American made vintage furniture. 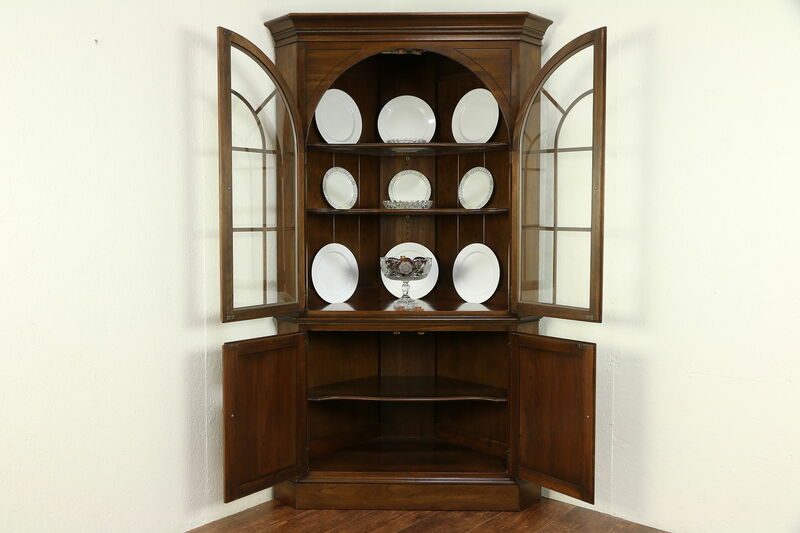 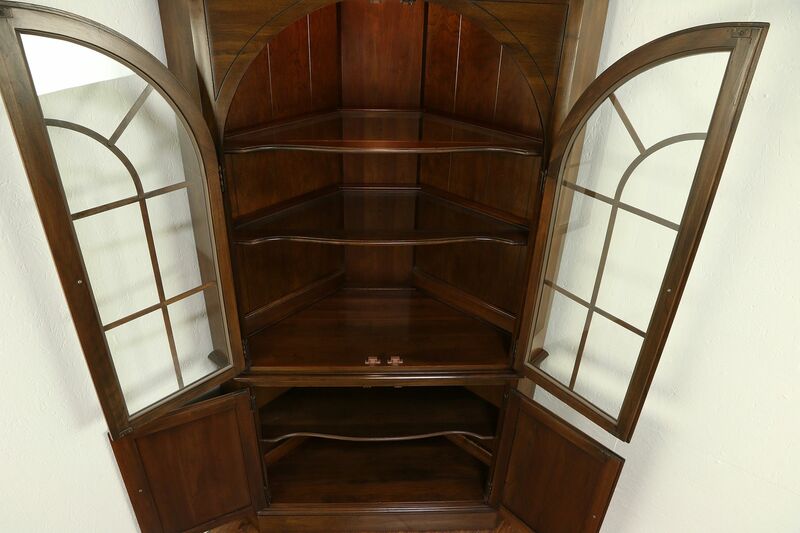 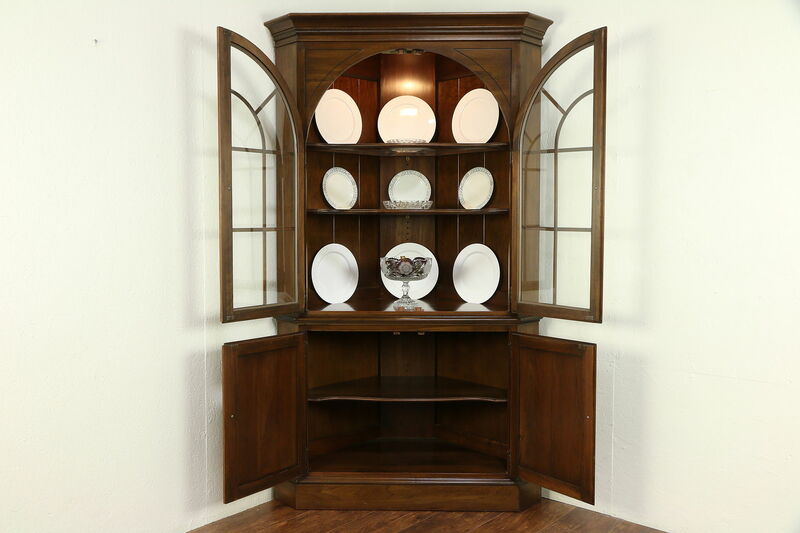 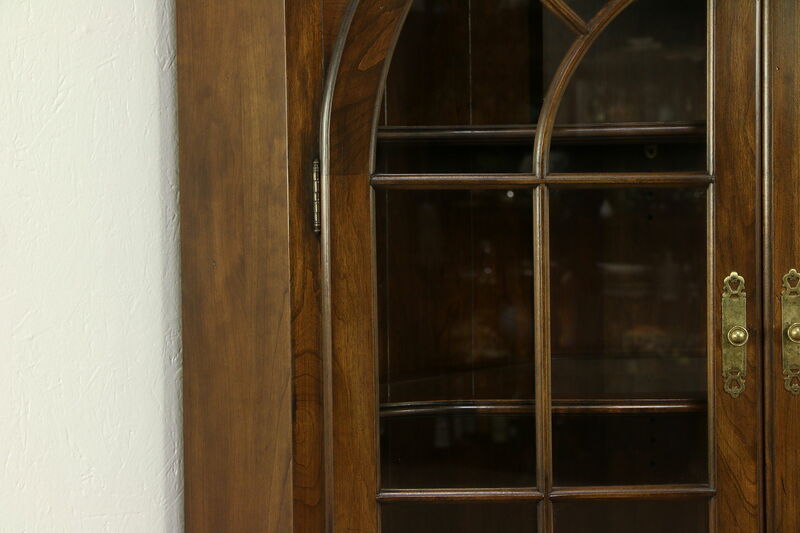 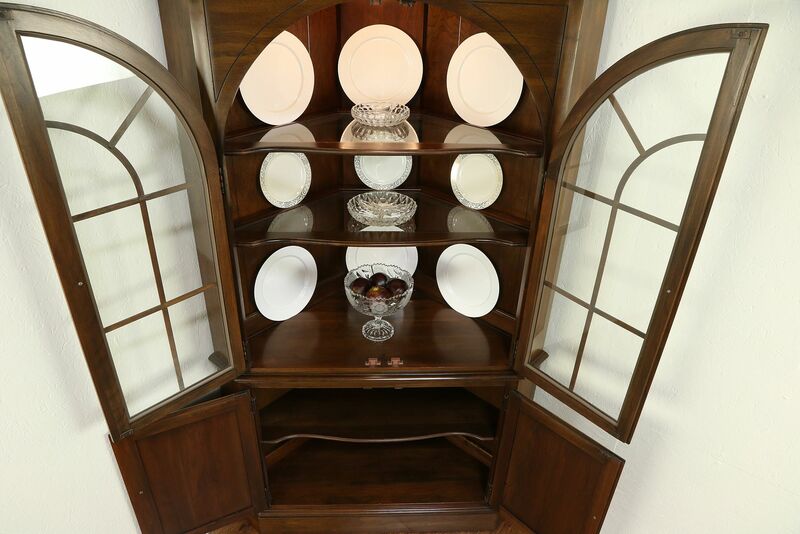 Upper shelves have grooves to display plates and glass inserts. 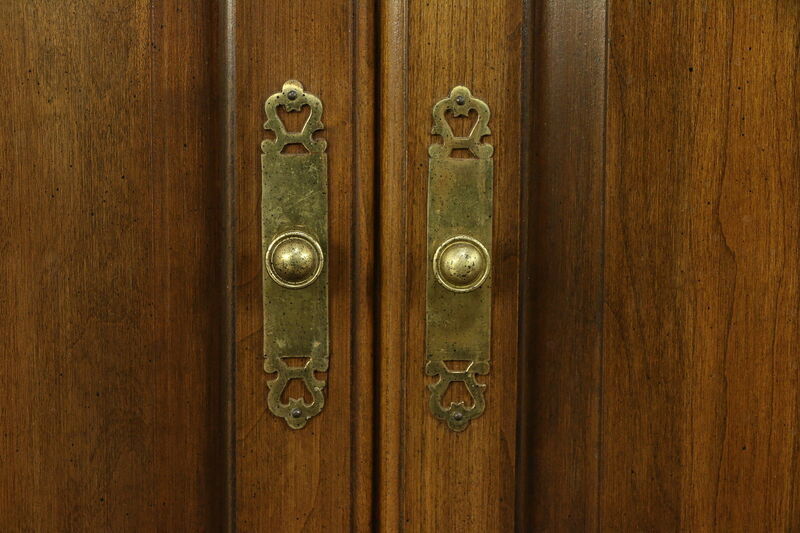 Hardware is original. 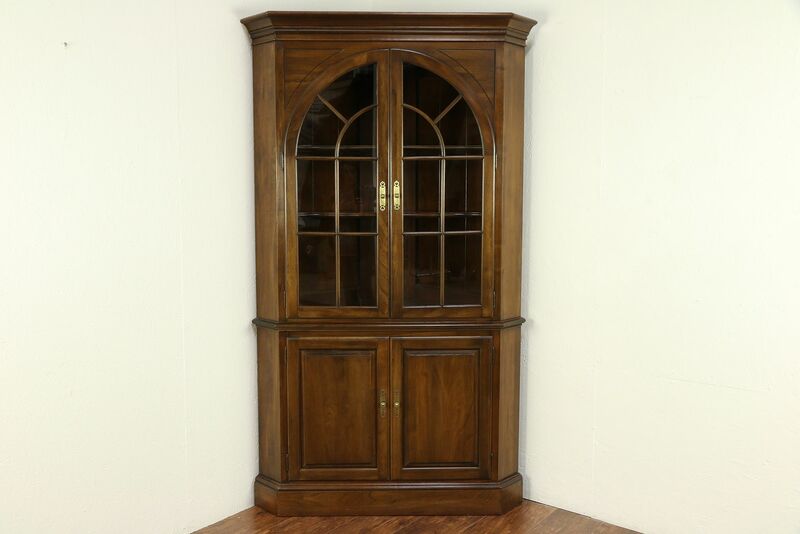 Dimensions are 45" wide tip to tip, 76" tall and sides are 32" from the front of the crown to the corner of the walls behind.